DeJarnette is committed to providing the interface technology that will revolutionize how you connect your enterprise's departments and applications. From its inception in 1986, DeJarnette Research Systems, Inc. has been known for technical innovation. In its early years, the company was among the industry leaders in driving standards, such as ACR-NEMA, DICOM, and HL7. Before the advent of DICOM, DeJarnette designed, developed, and manufactured its high performance, robust, and widely used ACR-NEMA V2.0 interface board called AT/ANSIF and its Medical Network Gateway known as ImageShare 910. Our SureNet assured delivery, "store and forward" with route failover capability, set the standard for early medical network gateway products. The U.S. military and Loral/Siemens selected DeJarnette's ImageShare 910 product as their preferred modality interface for MDIS deployment. DeJarnette’s AN/API (ACR-NEMA Application Programmers Interface) was the first medical imaging software toolkit to support DICOM. With the release of the DICOM standard, we began to focus on deployment of this technology, realizing that a toolkit is not a solution, only a tool. Check out our innovations over the years with AN/API as the core technology. In 2018, as we enter into our 32nd year of operation, DeJarnette is excited to release Entegra+ with XOE, our flexible and easily configurable DICOM and HL7 interface engine. With its extensive product offerings, DeJarnette is dedicated to increasing the efficiency of image management workflow for all types of health care institutions. Our commitment to develop breakthrough applications remains the standard by which future products are being developed and deployed. Here’s a view that we enjoy in the spring. 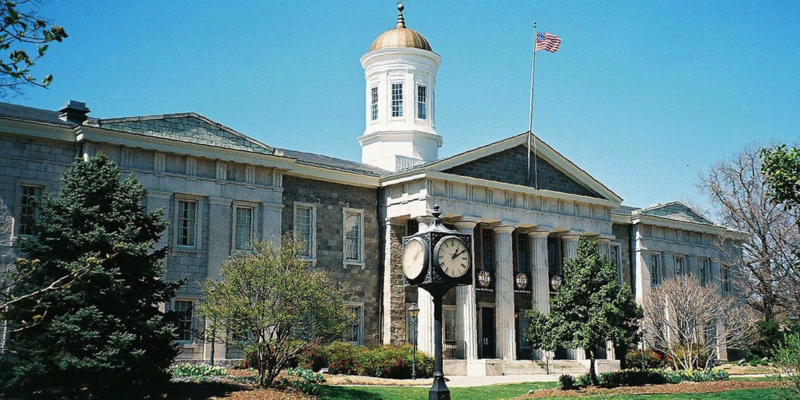 It’s the Towson, Maryland courthouse located across the street from our offices.